Each week I publish a diagram, chart or list to explain an idea or concept as simply as possible. I call this series “Idea on a Page”. You can see the latest Idea on a Page and view the back catalogue here. 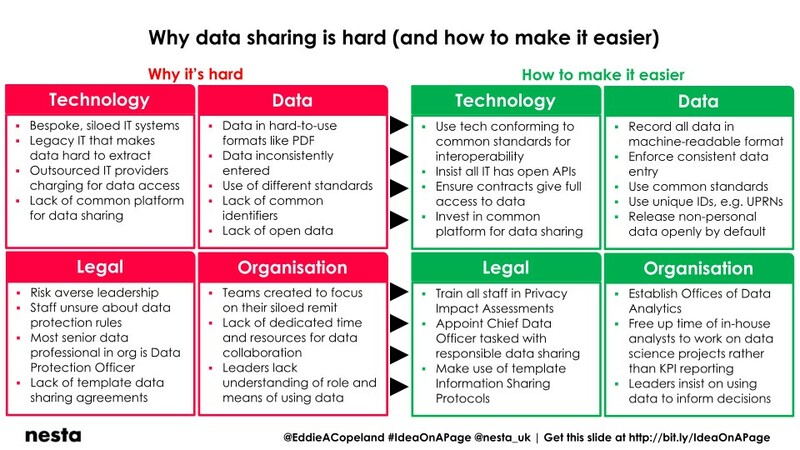 The diagram below focuses on some of the most common barriers that prevent public sector organisations from sharing data to improve decision making and reform public services, and how they might be overcome. The suggestions are relevant to the huge amount of non-personal data (for example about things, places and events) held by public sector organisations. They can also apply to personal data, though sharing of personal data must always be done in a legal, ethical, secure and appropriate way. 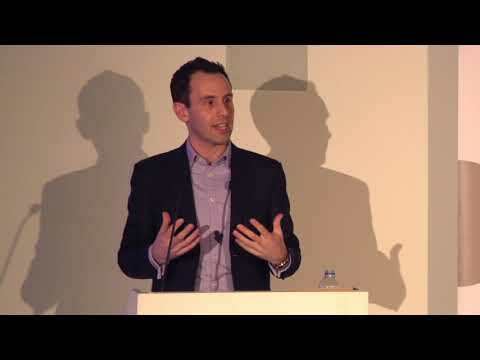 If you’re interested in how to do that, you might like to read Nesta’s Public Sector Data Analytics Guide.